EdenChain will be featured in The Advancements TV Series on CNBC. Advancements is a TV series dedicated to informing the public about the latest innovations taking place today. 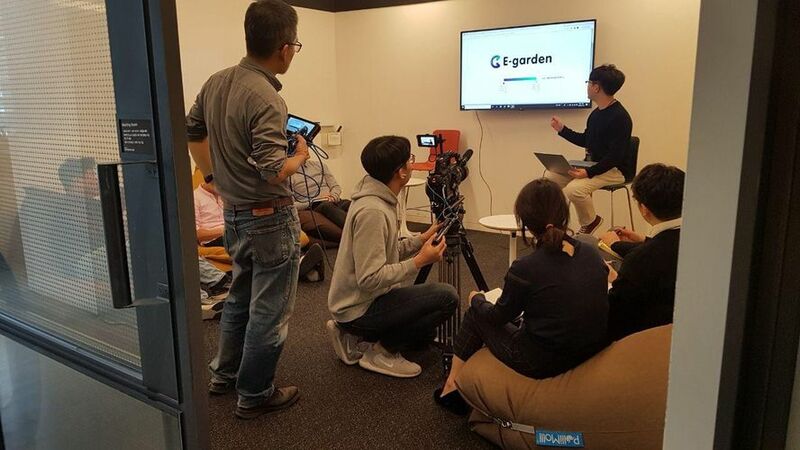 As part of the coverage on blockchain technology, the Advancements film crew visited our office in Seoul, South Korea on November 23rd. In the episode, you will get to hear about the core technology of EdenChain as well as an in-depth explanation on the roadmap from James Ahn and Jacki Heo, the core developers from EdenChain. Three experts in finance and IT industry also give their perspectives on how blockchain, particularly EdenChain, will alter our daily lives in technology and economy. For the first time, you will get to meet the staff who has been hiding behind the spotlight. We cannot wait for you to take a look at our Seoul office and see a typical day in the EdenChain office. Stay tuned for the broadcast date!